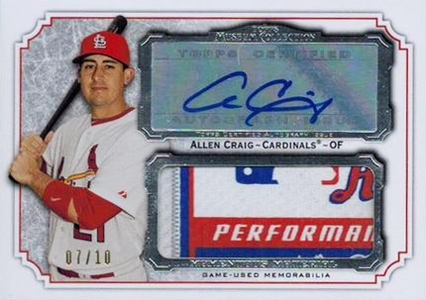 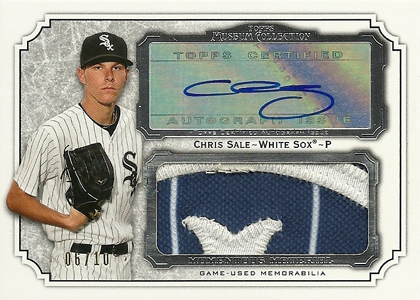 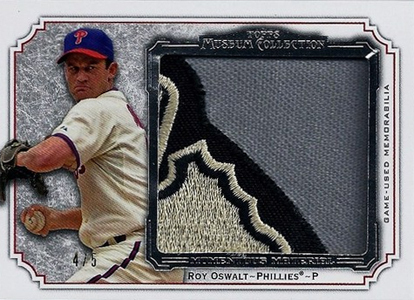 2012 Topps Museum Collection is living up to its name with a variety of amazing pulls. 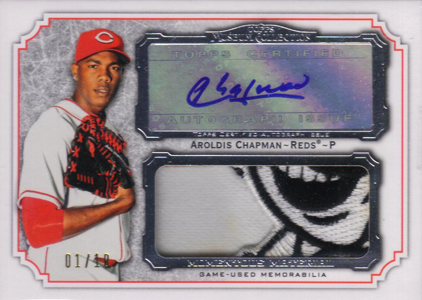 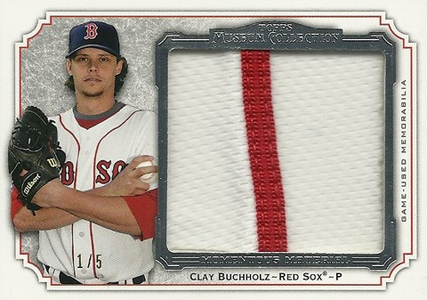 These include several massive patch and jumbo patch autographs that fall under the Momentous Material banner. 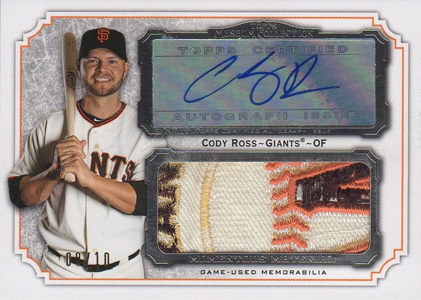 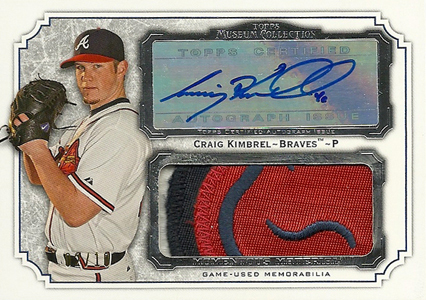 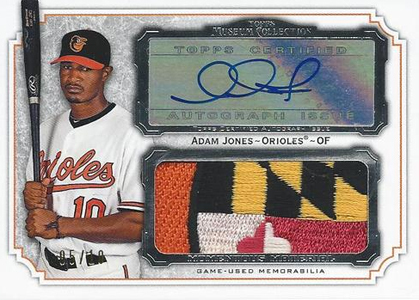 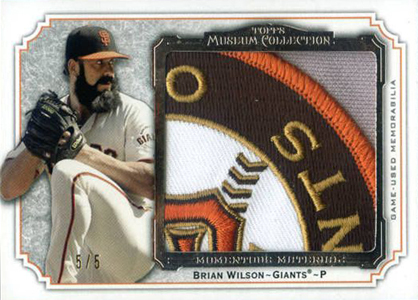 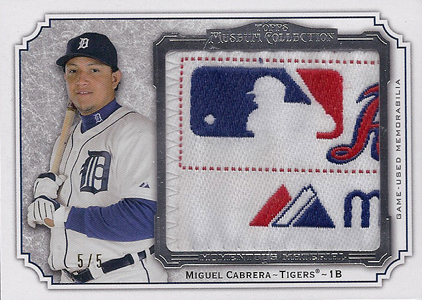 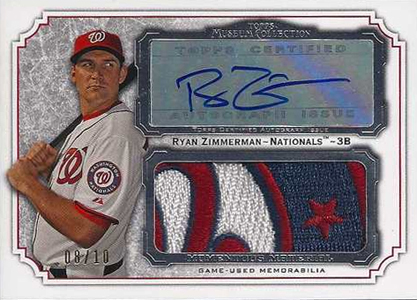 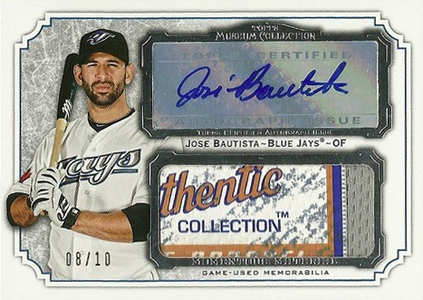 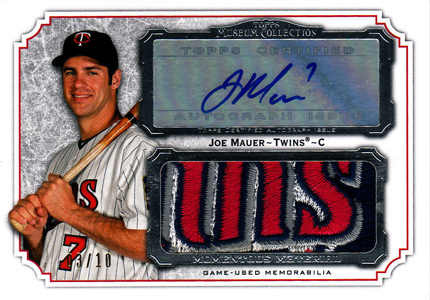 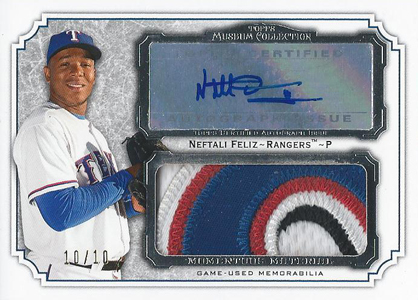 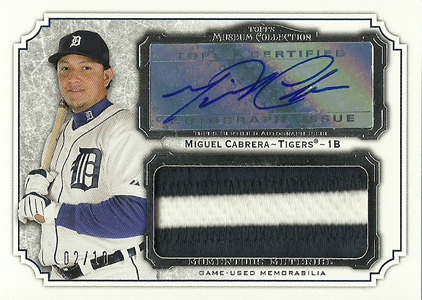 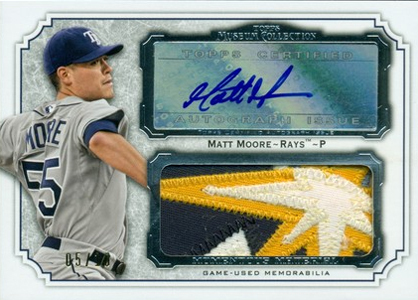 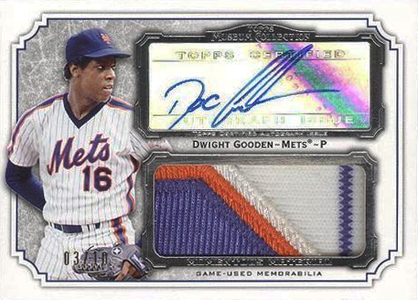 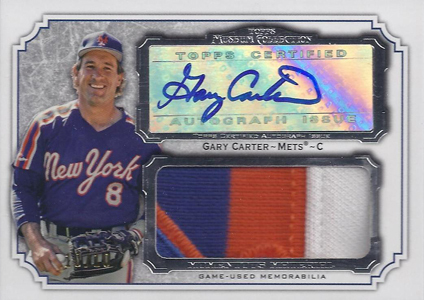 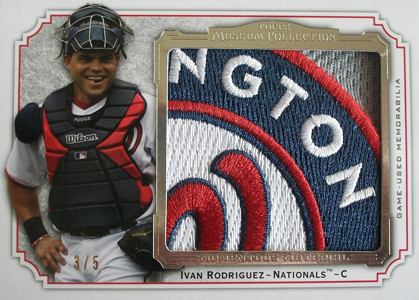 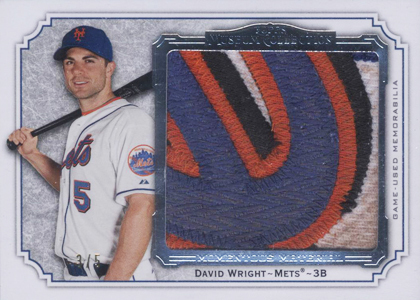 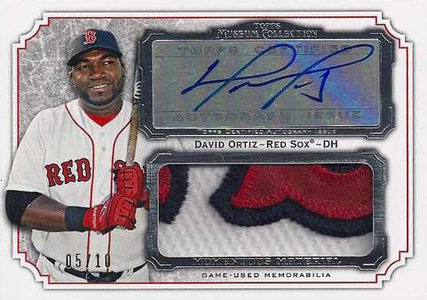 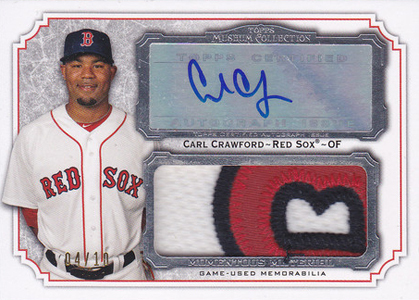 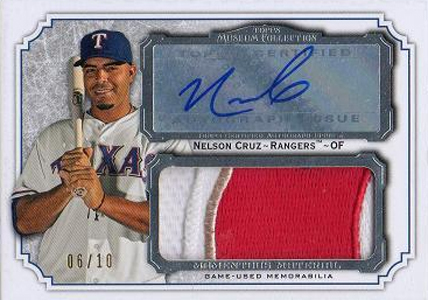 2012 Topps Museum Collection Momentous Material Jumbo Patch Relics are serial numbered to 5 copies. 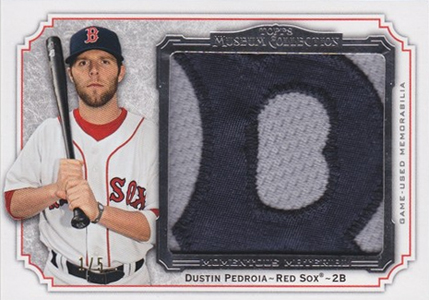 Many feature huge pieces of recognizable logos. 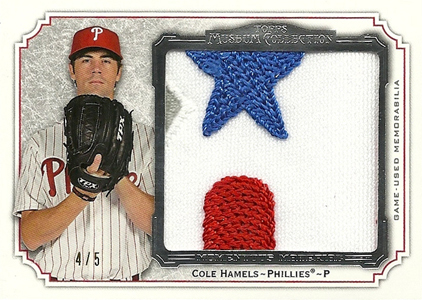 Others use commemorative swatches and laundry tags.